Watches are one of the most popular searches on Barnebys so it’s no surprise we see a lot coming into the valuation service. On 25th April 2016, we were sent his charming Lemania wrist watch. Lemania was a historic Swiss manufacturer of watch movements, founded in in 1884 by Alfred Lugrin (1858-1920). His name was associated with high-quality movements and he won awards in 1906 in Milan and in 1914 in Bern for his design mechanisms. 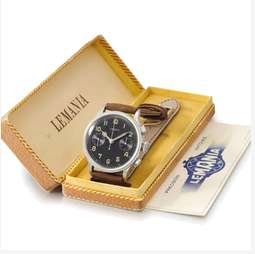 In 1930, Marius Meylan, Lugrun’s son-in-law, established the brand name Lemania Watch Co. and integrated the company into Société Suisse pour l’Industrie Horlogère (SSIH) with Omega and Tissot, two other growing watch brands. The collective would later be integrated again, into Swatch Group in the early-1980s and Lemania continued to make supreme movement parts for these brands. Omega and Lemania had a fruitful partnership and Omega continue to use Lemania parts to this day. 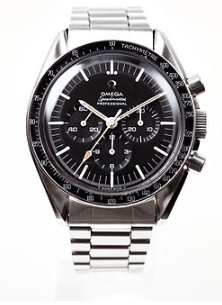 The mechanism made for the Omega Speedmaster, for example, became notorious after Neil Armstrong took his first steps on the moon wearing one, on 21 July 1969. Nowadays, the Lemania name has almost disappeared completely as it was again, absorbed into a larger conglomerate in 1999 called Manufacture Breguet. 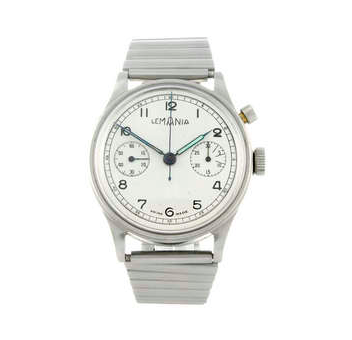 Watches under the original name are still available at auction and snapped up by collectors. One was sold at Christies in 2014 for £6,600. 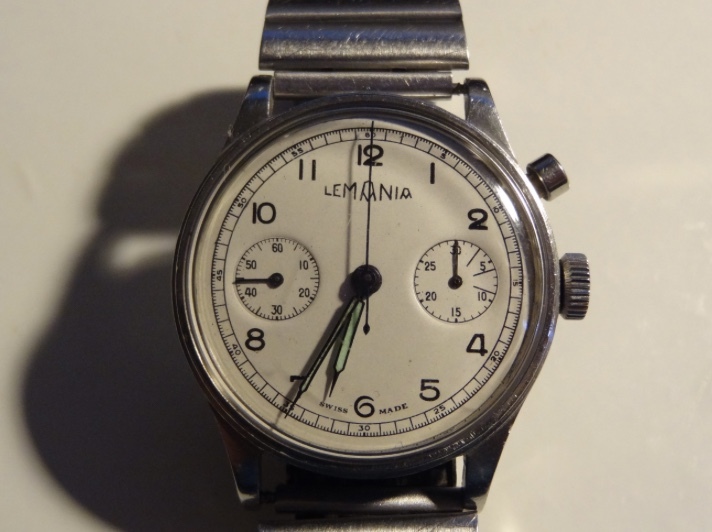 The Lemania watch that came through Barnebys was sold in London for £1,000 (hammer price) at Fellows watch sale, on Tuesday 24th May 2016. Do you have a watch you would like to sell? Time is ticking, send it to Barnebys!